Kids N Tennis Texas, our sister program, sent us t-shirts that say “I Love Tennis” in different languages. They also sent much needed new balls for our program. 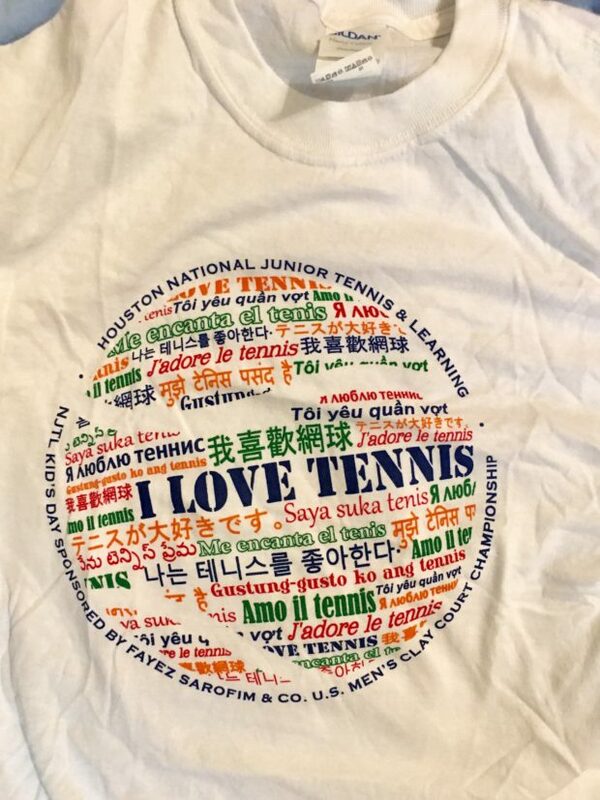 Thanks goes out to Don Johnson and the whole Kids N Tennis Texas Crew!